Professor Blien completed his studies in economics and sociology in 1980 (Diploma). In 1986 he was awarded his doctorate in economics at the University of Regensburg. He was a research associate at the universities of Erlangen-Nuremberg and Regensburg as well as at the Centre for Survey Research and Methodology (ZUMA) in Mannheim. He received his post-doctoral degree (“Habilitation”) at the University of Kaiserslautern in 1999 and became 2006 Professor of Economics there. 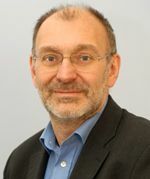 He began his activities for the Institute for Employment Research (IAB) in Nuremberg in 1990, taking over as Head of the Research Department "Regional Labour Markets" in 2002. From 1996 to 2002 he was a member of the Executive Committee of the European Association of Labour Economists (EALE). Since 2008 he has been Professor at the Otto Friedrich University in Bamberg. Uwe Blien is fellow of the Labor and Socio-Economic Research Center (LASER) within the University of Erlangen-Nuremberg and research fellow of the Institute for the Study of Labor (IZA). In February 2010 he was elected as the President of the "Gesellschaft für Regionalforschung" (GfR), this is the German-speaking section of the European Regional Science Association (ERSA). Uwe Blien joined CReAM as an External Research Fellow in April 2014.